I received this review about buying a wedding dress from a China based company. BUT IT TURNS OUT THAT IT IS FAKE! How do I know this is not a real review? The I.P. address it originated from was from China and not a U.S. address. I said sometime earlier, I would expose companies that try to take advantage of brides by trying to use this website to post fake reviews. I have been married a month ago. My wedding dress and bridesmaid dresses are all bought from China. I have to say I was worried about whether the dress fits for me. But the price really made me want to buy it. My wedding dress cost 175$, they still have many cheap wedding dress, but I like this one, so I choose this one, and it's really beautiful. And my bridesmaid dresses were cheap but beautiful too. The unit price was 88.39$. And my bridesmaids were beautiful in those dresses. I want to say that if you want to buy your wedding dress from China, you can communicate with the service. They will help you patiently. Their attitude is very good. My weeding dress shop was very nice to me. Although I asked so many questions and finally got the dresses from the door. http://lilybrides.com has a very fast delivery, the TNT, Fedex, DHL, UPS. How to say, it's very "geili" using the Chinese. 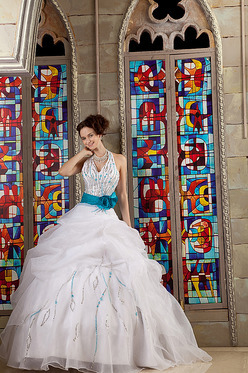 If you are looking for a cheap but beautiful wedding dress, you can browse the shop. I'm pretty sure you won't be disappointment. Wish you luck and have a happy journey on your online shopping! So what do you think? Can you believe this? If a company has to put out fake reviews about their products what does this say about them? There are reviews from companies that sell decent wedding dresses from overseas but it's becoming harder to tell which are legit. Those companies that have to make theme up do so reasons that should signal a "buyer beware" red flag.